After five rounds of team roping action at the 2016 National Finals Rodeo, this year is proving to be as exciting and suspenseful as we all thought it would be. The 2016 team roping field is a well rounded mix of veterans and fresh faces competing under the bright lights. One team in particular that is catching everyone’s attention is Levi Simpson and Jeremy Buhler. If you didn’t know these Canadians before, you do now. They came out guns blazing in Round 1 winning on their first steer they ever ran in the Thomas and Mack. They also are the first all Canadian team to ever qualify in NFR team roping history. They cinched their second round win last night splitting it with Kaleb Driggers and Junior Nogueira with a 4.00. The pay out ended up at $23,481 a man. If you can believe it, this was Junior Nogueira’s first round win on his 25th steer at the NFR. Kaleb Driggers and Junior Nogueira after Round 5 win. Jeremy has been getting a lot of limelight and is frequently accompanied with the #FearTheBeard tagline for obvious reasons. Major league baseball has Dallas Keuchel, the NBA has James Harden, and now team roping has Jeremy Buhler! But what hasn’t been as talked about and should be is his horsemanship, there is a lot more to Jeremy than just the beard. He trains and owns great horses. He has ridden his dunn gelding Rick James all five rounds and also owns a great bay horse he calls “Fabbio”, who he rode all summer. He is also very involved with the Canadian rope horse futurities, rode and trained this year’s Northland’s Canadian Rope Horse Futurity Champion “Alabama Twix”. Safe to say this NFR isn’t the last time you will hear the name, Jeremy Buhler. He’s just getting started. Levi and Jeremy have won $66,058 so far at the halfway point and are 7th in the average. Junior has won $51, 250 and is second in the average. 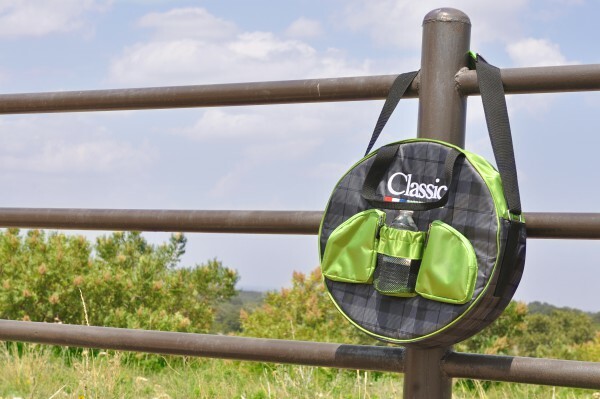 We are proud of the Classic team and are excited for the next 5 rounds! After nearly seven months of rebuilding what was left of the rope factory burnt to ashes, Classic and Rattler ropes took rope orders from retail partners for the first time on Monday, June 20. On Nov. 30, 2015 at 4:00 a.m. a fire started and destroyed the 70,000-square-foot rope manufacturing facility despite the efforts of nearly 50 firefighters. The fire goes on record as being one of the largest in Hood County’s history and thankfully there were no injuries. While the ashes were still smoldering, plans were implemented for the rebuilding process. All 74 employees of the facility were promised no loss in wages, and the mass clean up began. After a thorough investigation of what started fire, the Hood County Fire Marshall deemed the results inconclusive. By January of 2016, string and fiber production commenced in the only structure on the property that did not burn and shortly after, the fabrication team began working on the production of the first and only ones of its kind rope machines. At the end of March, down from the count of eight, two machines were fully operational and prototypes were developed and tested by a select group of professional ropers. Even through this devastating castrophe, Equibrand is very thankful for the support of the consumers, retailers, professionals, and industry partners. On Monday, June 20, 2016 the first rope orders to retail partners were made for the first time since the fire. Quantities and selection of only Heats and GT4’s were limited at time of purchase. The machines are running day and night to get production back up and crews are working tirelessly to get the remaining machines built to get stock back in every rope. This is just the first phase of the Firestorm. Equibrand is a holding company for several premium branded products in the western performances equestrian industry. As most of you know, this is a crazy, busy time of year for the rope shop and for ropers practicing for the big upcoming events. Lots of ropes are being made and lots of ropes are being used! In our second segment of Rope Talk with George McQuain, we asked for tips on the proper way to break in and store ropes for longer life expectancy, quality, and integrity. What is the best way to break in new ropes? How should ropes be stored for maximum amount of use? We hope these tips help with your routine and remember that SUCCESS IS IN YOUR HANDS! Fall weather has graced us with its presence again, and it is prime time to get the horses legged up and the ropes broke in for all the awesome ropings coming up in the sport of team roping. The USTRC Finals in Oklahoma City are the last weekend in October and the World Series of Team Roping Finals are in December at the South Point during the National Finals Rodeo. Ropers of all competitive levels get the chance to rope for hundreds of thousands of dollars…literally. With all these things considered, we went to our rope guru to find out what is the most popular right now and who is winning with it. Some know him as the “rope god,” some know him as the man behind the brand, and some know him as George McQuain. What is the top seller at Classic Rope? George: The Heat is the top seller overall. Jake Barnes, Junior, Brady Minor, and Colby Lovell frequently use it. The Spydr would be a close second. This rope is used by Luke Brown and also sometimes by Colby Lovell and Jake Barnes. 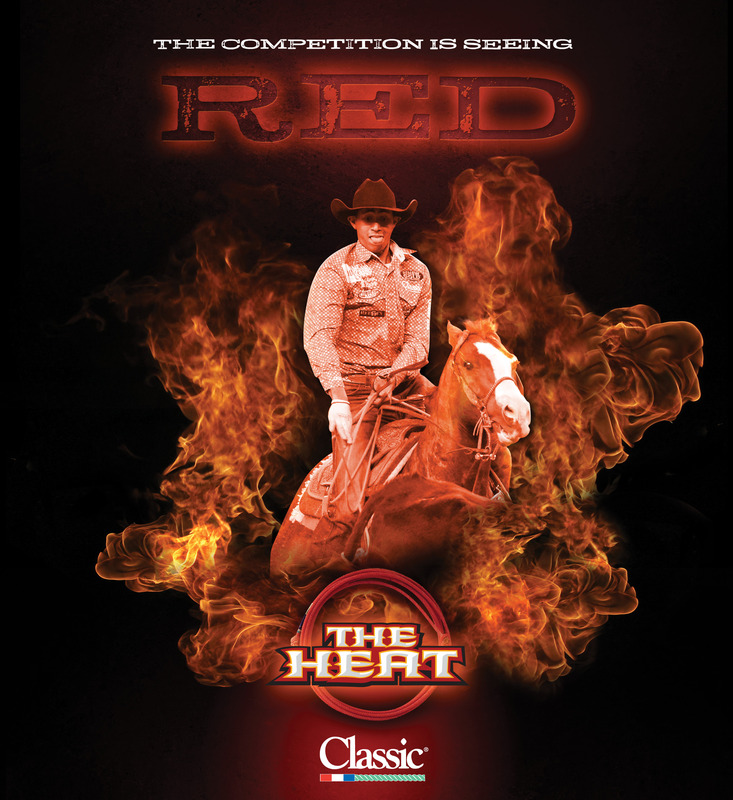 The Heat and Spydr are popular among both headers and heelers. The GT4 would round out the top 3, and is predominately used by heelers like Kollin VonAhn, but it’s not uncommon to see them as head ropes. Best of luck to all you ropers during this busy season and remember SUCCESS IS IN YOUR HANDS. Team roping: 1. Tom Richards/Tyler McKnight, 4.1 seconds, $2,400 each; 2. Darrin Finan/Bronc Boehnlein, 5.1, $2,147; 3. (tie) Ryan Reed/Cody Pearson, Riley Minor/Brady Minor, and Lane Santos Karney/Jordan Ketscher, 5.5, $1,642 each; 6. Travis Tryan/Russell Cardoza, 6.0, $1,137; 7. (tie) Wes Lockard/Chad Davis, and Matt Sherwood/Quinn Kesler, 6.3, $758 each; 9. Lane Lowry/Mike Monighetti, 6.5, $379; 10. Brandon Bates/Nate Preuit, 6.9, $126. Team roping: 1. Joel Bach/Jim Ross Cooper, 4.4 seconds, $3,371 each; 2. Manny Egusquiza Jr./Jonathan Torres, 4.6, $3,016; 3. (tie) Coleman Proctor/Jake Long, and David Key/Boogie Ray, 4.7, $2,484 each; 5. Cory Clark/Ethan Cory, 4.8, $1,952; 6. Nick Sartain/Rich Skelton, 4.9, $1,597; 7. Chad Masters/Travis Graves, 5.2, $1,242; 8. Brandon Webb/Mickey Gomez, 5.7, $887; 9. (tie) Justin Davis/Zane Bruce, and Garrett Tonozzi/Jett Hillman, 6.0, $355 each. Team roping: First round: 1. Cody Snow/Dugan Kelly, 4.1 seconds, $5,865 each; 2. Luke Brown/Kollin VonAhn, 4.3, $5,100; 3. Jake Cooper/Tyler McKnight, 4.4, $4,335; 4. Aaron Tsinigine/Ryan Motes, 4.5, $3,570; 5. (tie) Riley Minor/Brady Minor and Matt Sherwood/Quinn Kesler, 4.7, $2,422 each; 7. David Key/Dakota Kirchenschlager, 5.3, $1,275; 8. Joel Bach/Jim Ross Cooper, 7.4, $510. Finals: 1. Colby Lovell/Kory Koontz, 4.7 seconds, $400 each; no other qualified runs. Team roping: 1. Jake Cooper/Kollin VonAhn, 4.1 seconds, $6,800 each; 2. Erich Rogers/Ryan Motes, 9.8, $5,200; 3. Dustin Bird/Paul Eaves, 10.4, $3,800; no other qualified runs. The pressure is heating up with only 10 days left in the 2015 season. Where did the time go? This past week was filled with action as the famous Pendleton Round-Up concluded and cowboys were spread throughout the U.S. like a spilled jar of marbles trying to fit in as many rodeos as they could. Highlights of the week were Travis Woodward and David Key setting a new arena record at Pendleton with a 4.6 second run. Rainy conditions made the grass a little slick for slack causing a few wrecks and the already unique set up a little more challenging. A few might have tried to make the trip from Pendleton to Pasadena which is a mere 2,170 mile trek. Or from Pendleton to Albuquerque or to Abilene. Needless to say no matter where they were traveling, some cowboys put some miles on their trucks this week. Here are results from some of the big rodeos this past week and the updated world standings! Team roping: First round:1. Joel Bach/Jim Ross Cooper, 5.3 seconds, $4,049 each; 2. 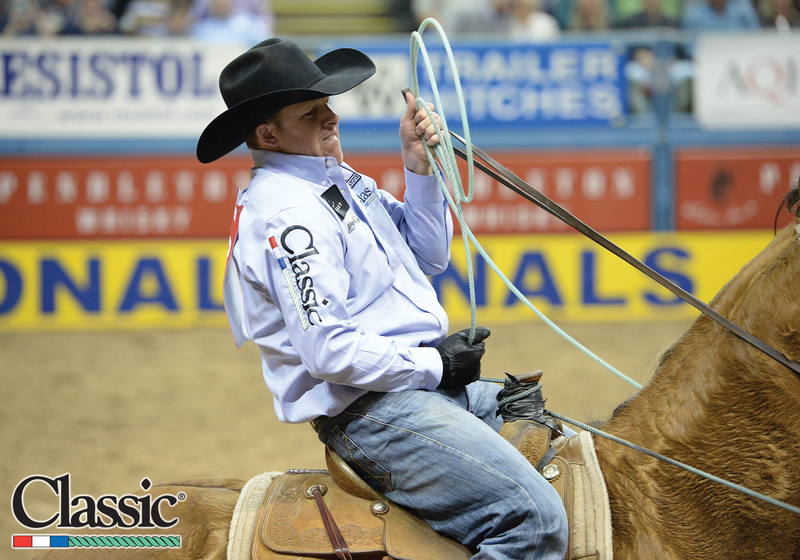 Trevor Brazile/Patrick Smith, 5.8, $3,521; 3. Derrick Begay/Clay O’Brien Cooper, 6.2, $2,993; 4. (tie) Levi Simpson/Jeremy Buhler, Blake Teixeira/C.J. DeForest Jr., and Dustin Bird/Russell Cardoza, 6.3, $1,936 each; 7. Bryce Palmer/Monty Joe Petska, 6.5, $880; 8. Clay Tryan/Jade Corkill, 6.7, $352. Second round:1. David Key/Travis Woodard, 4.6 seconds, $4,049 each; 2. Travis Tryan/Jett Hillman, 5.9, $3,521; 3. Clay Tryan/Jade Corkill, 6.2, $2,993; 4. Clint White/Brent Lockett, 6.4, $2,465; 5. Cole Sherwood/Steve Sherwood, 6.5, $1,936; 6. Travis Whitlow/Tyler Whitlow, 6.6, $1,408; 7. Landon McClaugherty/Chris Glover, 6.7, $880; 8. Guy Gregg/Shane Crossley, 6.9, $352. Finals:1. Jake Stanley/Bucky Campbell, 5.9 seconds, $1,486 each; 2. Jason Stewart/Dave Inman, 6.9, $1,230; 3. Trevor Brazile/Patrick Smith, 7.0, $974; 4. Clay Tryan/Jade Corkill, 7.1, $718; 5. Derrick Begay/Clay O’Brien Cooper, 7.7, $461; 6. Blake Teixeira/C.J. DeForest Jr., 8.6, $256. Average:1. (tie) Trevor Brazile/Patrick Smith, and Clay Tryan/Jade Corkill, 20.0 seconds on three head, $5,677 each; 3. Derrick Begay/Clay O’Brien Cooper, 21.6, $4,489; 4. Blake Teixeira/C.J. DeForest Jr., 23.0, $3,697; 5. Jason Stewart/Dave Inman, 23.8, $2,905; 6. Jake Stanley/Bucky Campbell, 24.3, $2,113; 7. Erich Rogers/Cory Petska, 27.3, $1,320; 8. Austin Stafford/Dayton Stafford, 27.5, $528. Team roping: 1. (tie) Clay Tryan/Jade Corkill, and Calvin Brevik/Cullen Teller, 5.1 seconds, $4,061 each; 3. Aaron Tsinigine/Ryan Motes, 5.4, $3,384; 4. Jake Cooper/Tyler McKnight, 5.5, $2,933; 5. Clay Smith/Paul Eaves, 5.6, $2,482; 6. Brandon Webb/Mickey Gomez, 5.7, $2,030; 7. Ty Blasingame/Josh Fillmore, 6.3, $1,579; 8. Robert Ansley/Brian Sullivan, 6.4, $1,128; 9. (tie) Zac Small/Tyler Worley, and Coleman Proctor/Jake Long, 6.5, $451 each. Team roping: First round:1. Nick Sartain/Rich Skelton, 4.7 seconds, $1,071 each; 2. (tie) Clay Tryan/Jade Corkill, and Cory Clark/Ethan Cory, 4.9, $794 each; 4. Nick Rawlings/Cory King, 5.0, $517; 5. Chase Wiley/Ace Pearce, 5.6, $332; 6. (tie) Chuck Doebbler/Justin Pruitt, Colt Fisher/Corey Hendrick, and Blaine Vick/Twister Cain, 6.2, $62 each. Second round:1. (tie) Chris Francis/Cade Passig, and Eli Lord/Levi Lord, 4.5 seconds, $979 each; 3. Ty Bach/Bradley Johnson, 4.6, $702; 4. Turtle Powell/Buddy Hawkins II, 4.9, $517; 5. Blaine Vick/Twister Cain, 5.2, $332; 6. Colt Fisher/Corey Hendrick, 5.9, $185. Average: 1. Nick Sartain/Rich Skelton, 11.3 seconds on two head, $1,606 each; 2. Blaine Vick/Twister Cain, 11.4, $1,329; 3. Colt Fisher/Corey Hendrick, 12.1, $1,052; 4. Ty Bach/Bradley Johnson, 12.7, $776; 5. Chuck Doebbler/Justin Pruitt, 14.1, $499; 6. Clay Tryan/Jade Corkill, 15.5, $277.